There really is nothing like freshly made Charcuterie and a glass of Floc to make one really appreciate the small things in life. We first met Dominique Chapolard during a workshop that he teaches at with Kate Hill, French Pig – The Butcher & The Cook. We instantly hit it off with both Dominique and Kate and knew it was only the beginning of a long friendship. Please read on and watch the video we made – we need your vote! Ferme Baradieu is run by the Chapolard family and it is a true example of sustainability as they grow the feed for their pigs, they butcher the pigs and they sell the meat and house-made Charcuterie, at the weekly markets in their immediate areas — truly “Seed to Sausage”. We were honored to be invited into their world this past summer. One early summer morning we were able to work along side the Chapolard family, this is where we were able to capture this amazing video. Not only does it show the hard work that goes into their amazing Charcuterie but also the love and passion that the family has not only for each other but also for what they do. When we submitted this video, on behalf of the Chapolard family and Kate, to Protein University for their “Who’s Your Butcher” contest, we never imagined the response we would receive. It has been truly inspiring. We want everyone to see it and to spread the word of this truly amazing spot in Gascony France. We never ask for anything from our readers. Now we are. We need your support. Please vote for Seed to Sausage, Ferme Baradieu. Dominique Chapolard has a vision and message and we want him to be able to share it with everyone. Protein University will announce the winner on August 22, 2010, and that butcher (hopefully, Dominique) will be included in a exclusive 4-day butcher intensive at Grove Park Inn in Asheville, NC on August 29, 30 and 31. “Who is your butcher?” Seed to Sausage, Ferme Baradieu!! If you would like to learn how to work/learn along side the Chapolard family please contact Kate Hill about her AB&C (Artisan Butchery & Charcuterie ) Workshops – the workshop is hands-on in beautiful Gascony, a truly unique experience for anyone interested in the lost art of French Butchery and Charcuterie. 12 Responses to "Gascony France and Charcuterie"
nice video. I hope this counts as a vote. Wow, i'm impressed. Great video you guys! Just voted for you. And so happy you got to spend some time in Gascony and meet Kate. I lived in Gimont for a few years when i was very young. Great memories there. 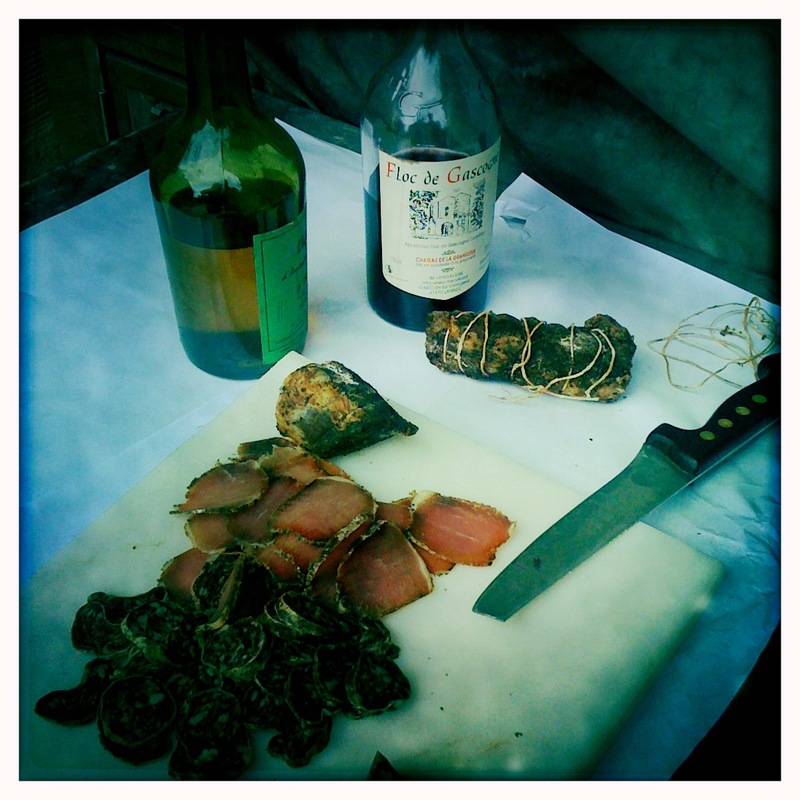 Ahh, the food in Gascony! Voted this morning. It's been more than a week since I first saw this video and I am captivated by it. The Chapolards are extraordinary. Film is gorgeous. Music is fab. Love everything about it! And next year, I just may have to go to Gascony and take their workshop with Kate. Bonne chance! ps. If you ever sell copies, I will buy one. Great video guys! Love the blog. Viv la charcuterie! I voted a while ago, and love the video. I've come back because the sound track song is stuck in my head. I don't speak french or I would just type in the lyrics... What is the title of it?